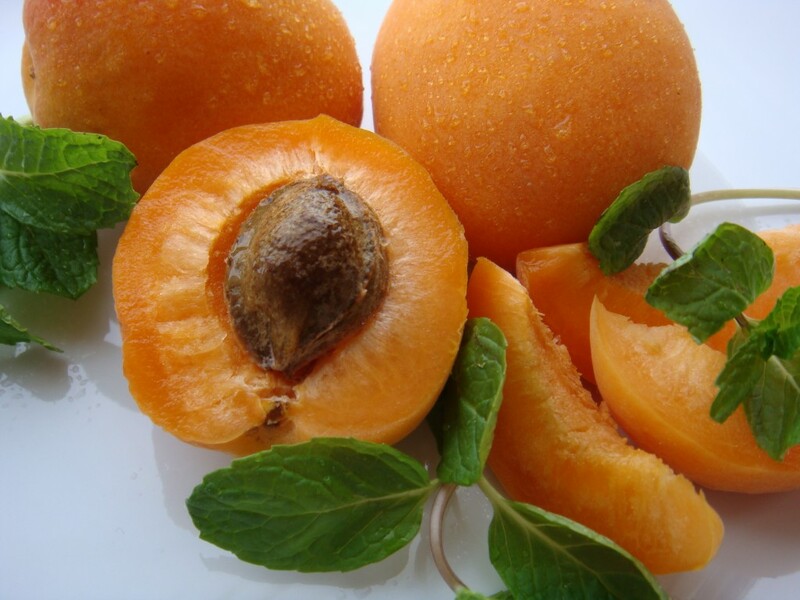 I picked up three fresh apricots earlier in the week. While I do enjoy eating them right off the pit, I was wanting to do something a little different with these. But I only had three… so that ruled out a tart or a pie or jam. What to do… what to do? A quick Goole search yielded a recipe for fruit leather. It required six apricots (about 2 cups), but I could make half the recipe, right? 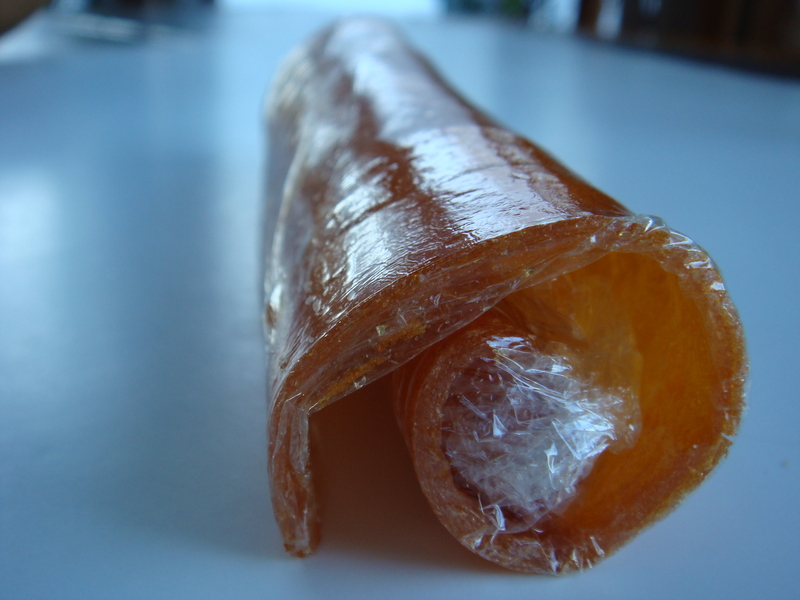 Okay… fruit leather it was. 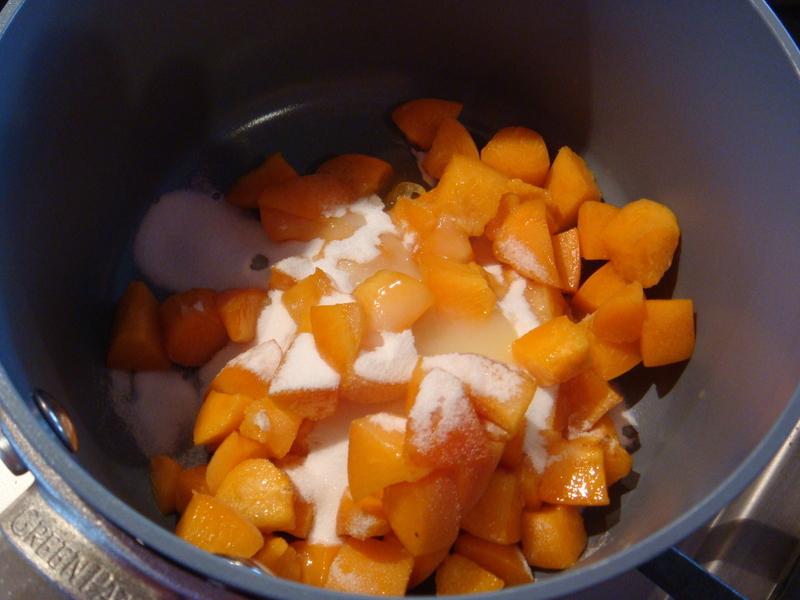 Chop apricots and add to small saucepan with sugar and lemon juice. Cook over medium heat until all the sugar dissolves. 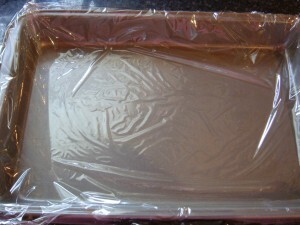 Meanwhile, line a small cookie sheet with plastic wrap and pre-heat the oven to 150 degrees F (or to the lowest setting). 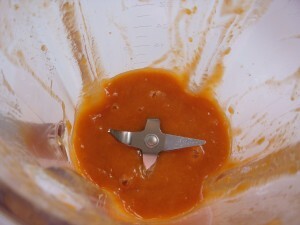 Once all the sugar is melted, pour mixture into blender and puree. 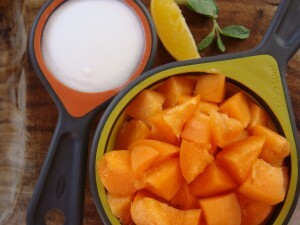 Pour puree onto lined cookie sheet and use a small spatula to evenly spread the mixture into a uniformly thin layer. 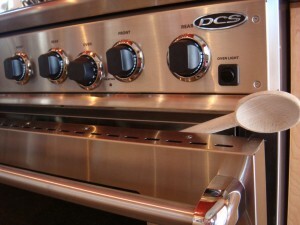 Leave in 150 degree oven for 4 to 6 hours or until leather is no longer sticky when touched. 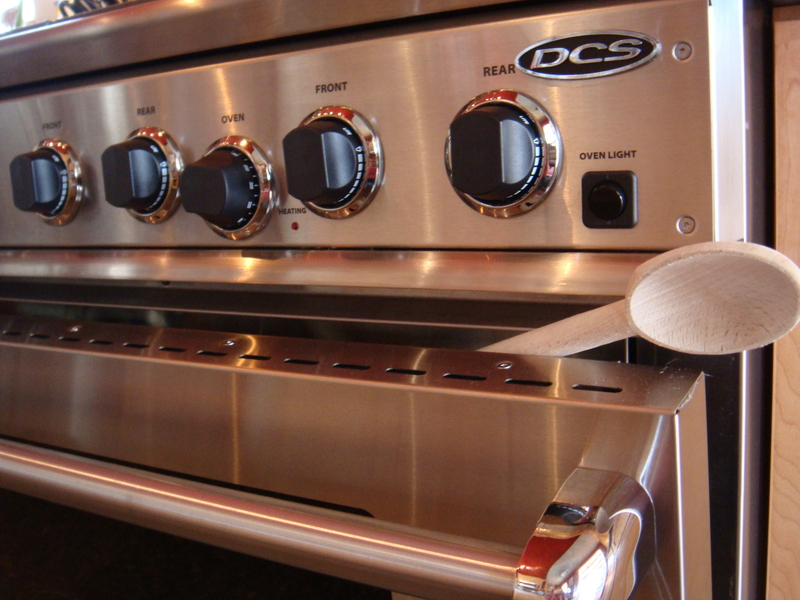 Prop the oven open with a spoon to keep the air circulating — allowing the leather to completely dry. Once finished (mine took about 5 hours), lift plastic wrap out of cookie sheet and let cool. Peel leather off plastic wrap just as you would a store bought “fruit roll-up”). 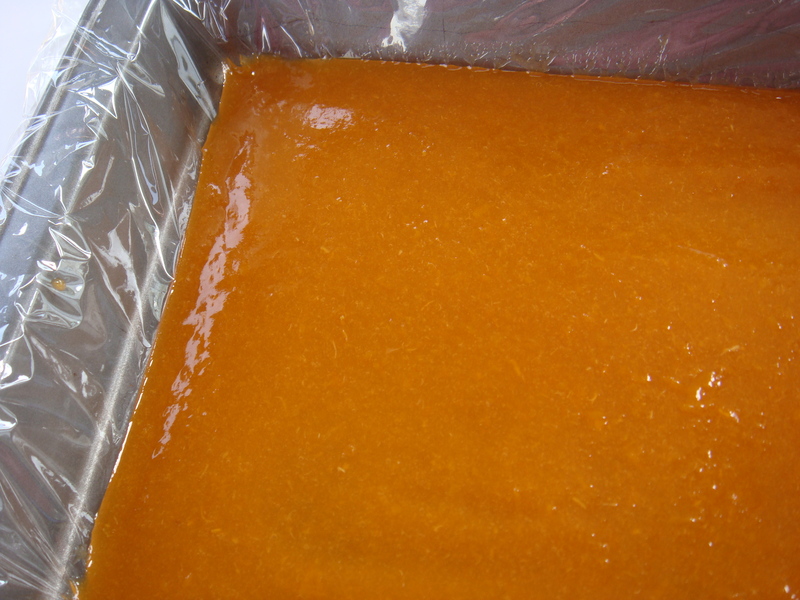 The end result was delicious… though sort of small for the amount of work or time it takes to dry. 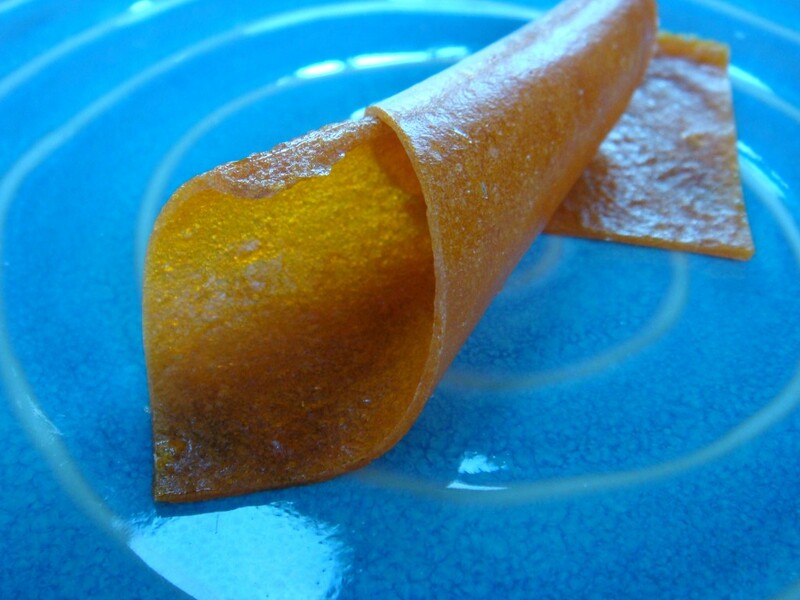 I think when I make fruit leather again (and I will because it tastes just like store bought), I will make a large batch and essentially fill up my oven with mulitple cookie sheets. Slightly tart, sweet, chewy and plump. Another keeper.